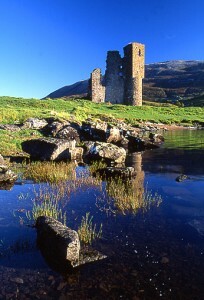 Expert tuition by Geopark staff will help you to interpret the geology of this wild and remote highland landscape. The area has the lowest population density in Europe and exhibits unique geodiversity and biodiversity. 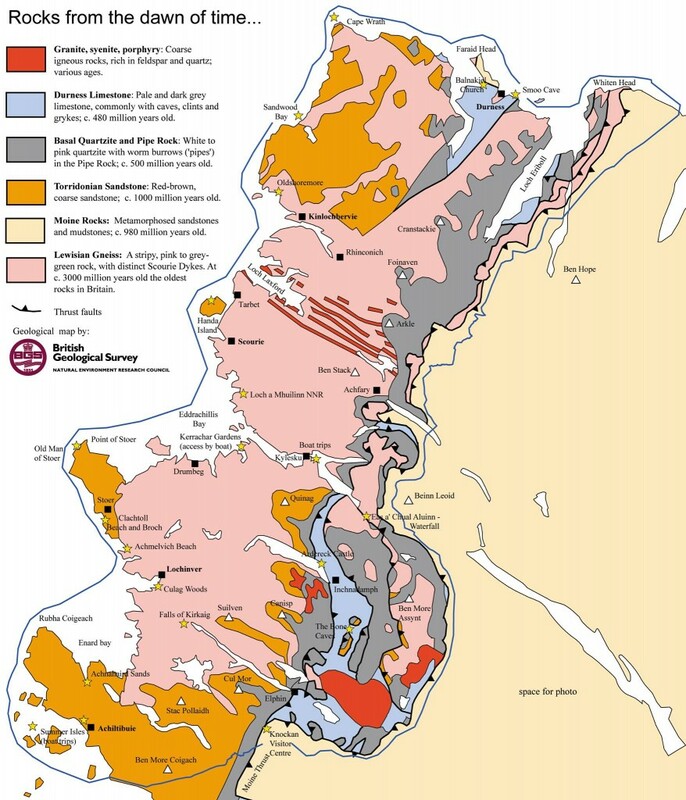 As home of the oldest rocks in Europe, the first identified thrust fault, the oldest and biggest meteorite impact ejecta and with evidence of the earliest life; the North West Highlands Geopark really is the “Cradle of Geology”. Meet in the evening before the first field day to discuss the local geology and arrangements for the week. The location of this session depends on where individual group members are staying; it will probably be Ullapool or Inchnadamph. 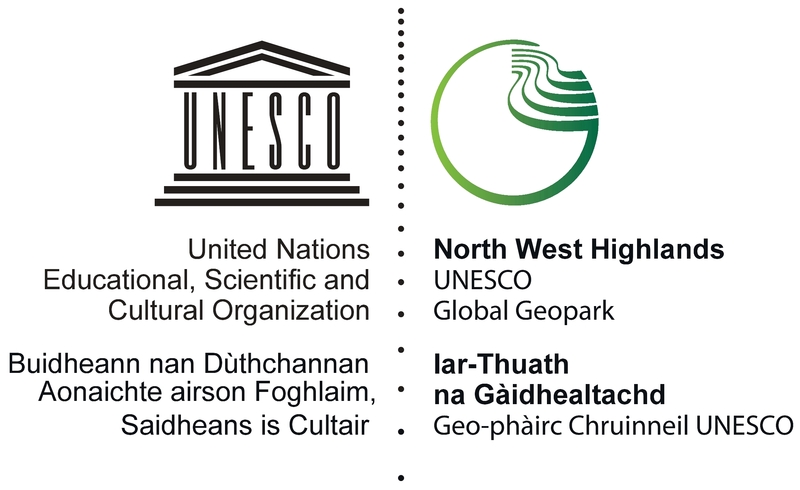 If group members wish to stay in different locations around the geopark during the week this can be achieved by discussion with the group leader. 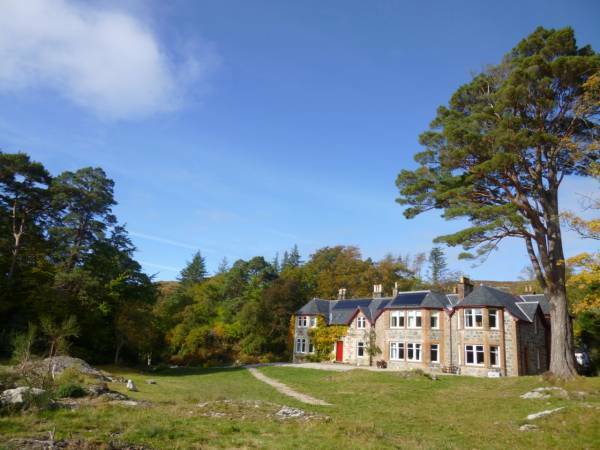 Guided excursion to Knockan Crag National Nature Reserve where you will learn the story of the NWH Geopark’s eight major rock types and the history of mountain building theory in the company of a local geologist. The centre has interactive exhibits in a solar powered turf roofed building which slots sympathetically into our stunning landscape. Take in views over some of our most spectacular mountains, Cul Mor, Cul Beag, Beinn Mor Coigach and the iconic inselberg Suilven and hear their 1.2 billion year old story. 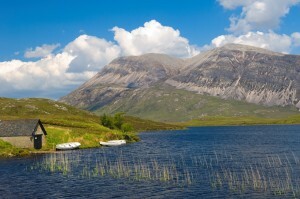 From Knockan Crag NNR we will travel to Loch Assynt where the road snakes round the lochside. A fortuitous side-effect of road-building was the exposure of excellent geological sections through most of the major rock types in the area. See the unconformity between 3 billion year old Lewisian Gneiss and 1.2 billion year old Torridonian sandstone and marvel at where the missing time went! This is a perfect location to begin to recognise rock types in the field and read the landscape. Helmets and hi-vis jackets provided. 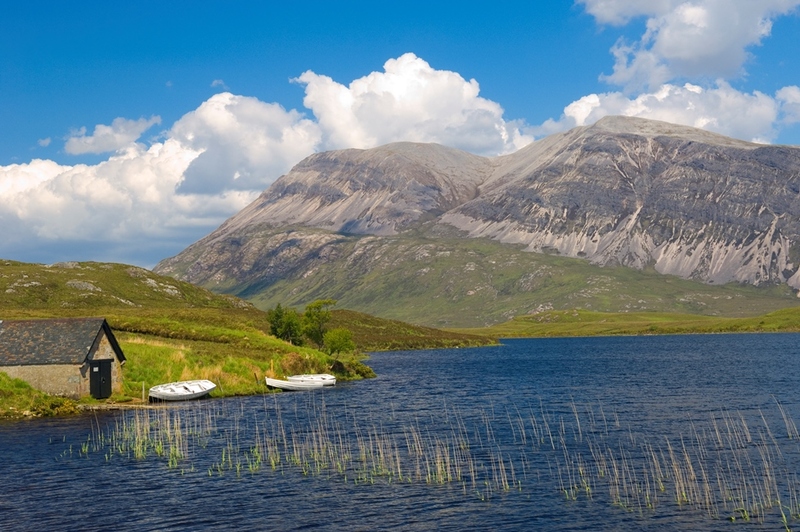 The North West Highlands are home to some of the best kept secret beaches in Europe. Day two will start at Achmelvich beach, where colourful outcrops of Lewisian gneiss are punctuated by Scourie Dykes formed as magma intruded into the gneiss half a billion years ago. Learn to recognise the chemical and thermal processes recorded in the rock and the difference between metamorphic and igneous types. 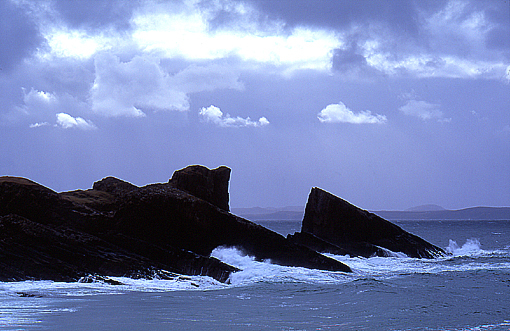 In the afternoon we’ll travel North to Clachtoll and Stoer, another of our white sandy beaches. See the ‘split rock’ and explore the fossils left behind by some of the earliest life on Earth. Visit the ‘Stac Fada’, the site where geologists have recently uncovered evidence of an ancient meteorite strike. A long day. Many of the mountains in the North West Highlands are capped by brilliant white quartzite, sometimes mistaken for snow in the right lighting conditions. 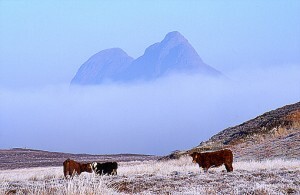 On day three we’ll head over the Quinag pass, before visiting the exhibition at the Rock Stop in Unapool. The exhibition contains a mountain building machine and an augmented reality sandbox. Tea or coffee and cake is complimentary. Then we’ll travel to Scourie and visit the village which has given its name to the world famous ‘Scourie Dykes’ and then to the multi-coloured rock stop, a spectacular outcrop of Lewisian Gneiss and pegmatite dykes. We’ll then head up to Durness for lunch before taking a trip into Smoo Cave, Scotland’s largest Limestone cavern which has been occupied for many thousands of years. Today it is possible to take a boat trip into the cave system, led by a local guide and speleologist. Will be a half-day to allow everyone to catch up and perhaps do some local visiting in the morning. A number of afternoon visits are possible depending on the centre of gravity of where the group members are staying. One possibility is Ullapool to look at the result of some of the thrust faulting. A flexible day to travel to locations the group might want to visit based on their own interests, perhaps expanding on what we’ve already learned, answering burning questions or travelling to some spectacular spots. Possibilities are to look at the igneous rocks of the Ledmore area, go on a Trilobite hunt and walk up to the Bone Caves and see the site where Palaeolithic animal bones were preserved within a cave system and protected from glaciation. Today we’ll drive out to the Coigach peninsula, with stunning views over the Summer Isles we’ll learn how they formed and what makes the landscape so unique. 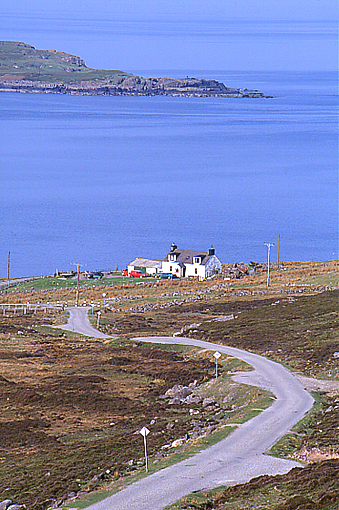 The road to Coigach feels very remote, so much so it’s almost like driving onto an island. There will be a chance to try out new geological skills learnt during the week and perhaps even some mapping. Ancient Stromatolites will be searched for. £250 per person including transport, early bird discount of 10% for bookings made by March 31st. £50 Deposit required. Fee includes tuition, insurance, transportation and materials. Accommodation is not included, however please feel free to contact us for advice.